It’s no secret that winter is approaching — after all, we're starting to take out our oversized parkas and our furry pom-pom beanies. However, the brutal wind chill and below-freezing temperatures can take an undesirable toll on our skin. So, here are five tips for keeping your skin as glowy, fresh and hydrated as possible during these frigid, snowy months. Brisk winds combined with the lack of moisture in the air can cause your skin to dry out quickly. Dermatologists suggest those with very dry skin to use ointments or creams rather than lotions. More specifically, these ointments and creams should contain olive oil or jojoba oil. A highly rated one is SW Basics Cream, which uses ingredients such as coconut and olive oil to replenish and lock in moisture — without clogging your pores! Also, apply moisturizer immediately after getting out of the shower, when your skin is still damp, to trap moisture. Just because the temperatures are low, it doesn’t mean the sun stops doing its job. In fact, when combined with the glare of the snow, the sun can cause a ton of damage to the skin. 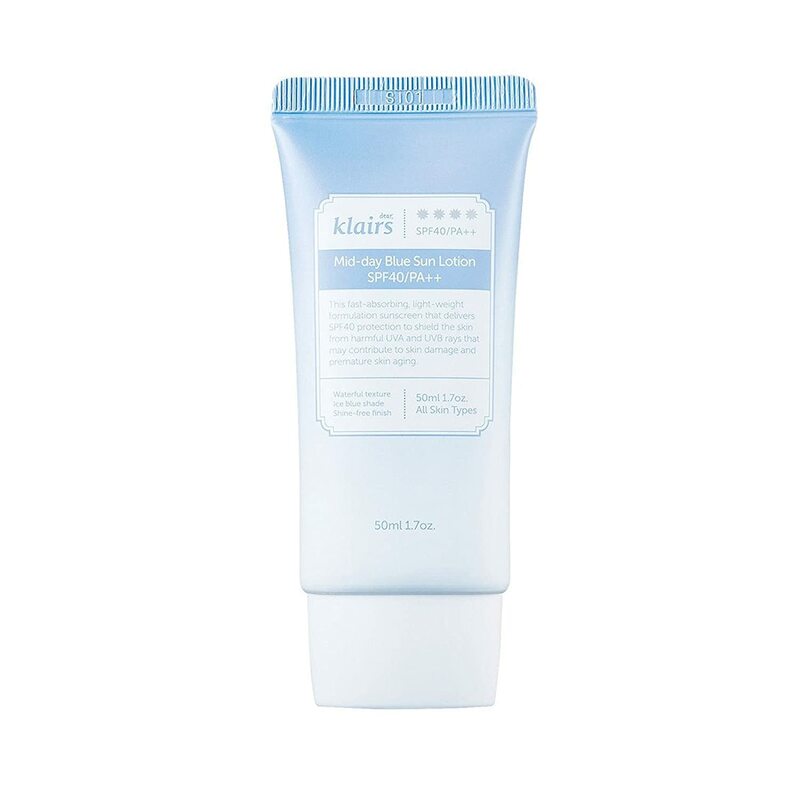 Dermatologists recommend the Klairs Mid-Day Blue Lotion. At SPF 40, this lotion will protect you from the sun while moisturizing you skintremendously. It’s suitable for all skin types, including sensitive skin. Exfoliating dries out all of the natural moisture in your skin, which is exactly the opposite of what you want during the windy months of winter. Instead, opt for a gentle, moisturizing cleanser. Neutrogena’s Hydro Boost Hydrating Cleansing Gel is both moisturizing and non-comedogenic, so it won’t clog your pores. Your pores open up, especially when you’re asleep; so an overnight face mask is a great addition to anyone’s beauty sleep regimen. Dermatologists recommend Burt’s Bees Intense Hydration Treatment Mask, which contains moisturizing ingredients such as coconut oil and tucuma seed butter. Honey is a natural agent that gives the skin a brighter and dewier look by moisturizing and cleansing it. Dermatologists recommend dabbing a cotton pad into honey and applying it to any dry areas on the skin. Wash it off after 10 minutes. Milk, too, contains anti-inflammatory and soothing properties that can help get rid of dry, irritated skin. Follow these simple tips, and you will see a world of difference in the appearance and texture of your skin during these winter months.